Cloud masking is a very important application in remote sensing and an essential pre-processing step for any information derivation applications. It helps in estimation of usable portion of the images. Many popular spectral classification techniques rely upon the presence of a short-wave infrared band or bands of even higher wavelength to differentiate between clouds and other land covers. However, these methods are limited to sensors equipped with higher wavelength bands. 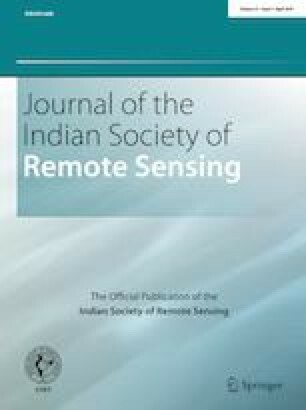 In this paper, a generic and efficient technique is attempted using the Cartosat-2 series (C2S) satellite which is having high-resolution multispectral sensor in the visible and near-infrared bands. The methodology is based on textural features from the available spectral context, and using a feedforward neural network for the classification is proposed. The method was shown to have an overall accuracy of 97.98% for a large manually pre-classified validation dataset with more than 2 million data points. Experimental results and cloud masks generated for various scenes show that the method may be viable as a reasonable cloud masking algorithm for C2S data. Barla Gopala Krishna: Deputy Director, DPPA & WAA (Retd. ), NRSC, Hyderabad. An open-source library written in C, FANN, was used for the neural network calculations. The images of scenes shown in the paper were taken as screenshots of another open-source display utility, OpenEV. We would like to express our sincere thanks to Director, NRSC, ISRO for giving this opportunity and the Software Group team for their continuous support.